Our International Ecocity Conference Series (IECS) consisting of biannual Ecocity World Summits (EWS) addresses the way humanity builds its home, promoting the understanding and development of cities that are ecologically healthy and sustainable, economically prosperous and fair, and socially just and caring. Also known as ECOCITY, these inspiring gatherings of urban stakeholders from across the globe focus on key actions cities and citizens can take to rebuild our human habitat in balance with living systems. The Summit should be organised with deep awareness of ecological consequences of running a major international gathering. The Summit should be based on an economy of engagement rather than one of accumulation of surplus value. The Summit should be organised with an active emphasis on engaged and negotiated involvement beyond the immediate organising committee. Urban settlements should actively develop ongoing processes for dealing with the uncomfortable intersections of identity and difference, including the current tension between culture and nature. Cities must be part of the solution to climate change: up to 70% of GHG’s are generated in cities, home to more than 50% of the world’s population. An ecocity will address climate change by meeting the challenges of urban sprawl, mass transit, waste reduction and treatment, as well as building standards, materials and design. How should we organise cities and suburbs to enable sustainable forms of mobility? How can we activate public space? Cities and suburbs are dynamic entities—constantly in transformation. They are ceaselessly being recalibrated and adapted, like any ecosystem, to their changing populations. Transforming our cities into ecocities implies a new vision of not only their physical form, but also of the way they are governed. It will be necessary to re-think the roles and responsibilities of municipal government, as well as those of other orders of government, to bring them into line with an integrated vision of sustainable development. What is the purpose of the economy in an ecocity, and how do we define terms like “sustainable development,” “prosperity,” “well-being,” and “quality of life” in line with that purpose? An emerging body of research shows that urban living conditions influence the health of individuals and populations and that the uneven distribution of environmental conditions, resources and amenities in urban areas result in social inequalities in health outcomes. This new field of public health study touches on several subjects including but not limited to air quality, urban heat islands, pedestrian and cyclist safety, active transportation, water quality, obesity, heart and lung disease, and mental health. Biodiversity, green spaces and urban agriculture are inter-related concepts which contribute (directly and indirectly) to our general well-being: to health, the environment, and the quality of our lives and that of the landscape around us. Climate change is the most pressing and complex challenge that humanity faces today. Combating climate change requires strong solidarity of the international society… Turkey is planning to adopt nationally appropriate mitigation planning and no-lose targets to limit emission growth and move to a low-carbon economy. This shift to a low-carbon economy is only possible through technology transfer and multilateral financial support. In April 2008, Ecocity Builders brought the conference back to the Bay Area. 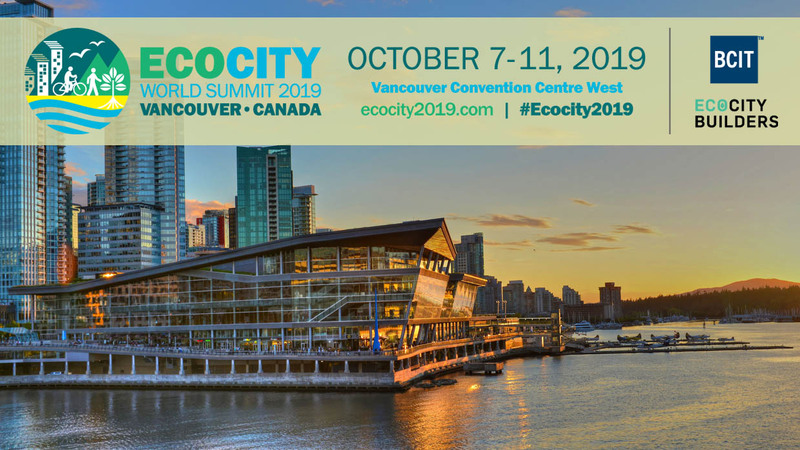 The 7th International Ecocity Conference (Ecocity World Summit) focused on how cities and citizens can stop and reverse global climate change, biodiversity collapse, loss of wilderness habitat, agricultural lands and open space, and severe social and environmental injustices. The capital of high tech, the Silicon Valley of India, busy Bangalore provided Ecocity 6 with another spotlight illuminating problems and opportunities on ecocity front lines, this time hosted by an NGO called Project Agastya and Raja Rajeev Kumar. Bangalore is famously prosperous as the Garden City of India, but equally renowned for frantic, titanic traffic congestion. It’s a city of sprawl of a very different sort, not a suburb but a whole big city, scattered into inefficiency. Large playing fields for soccer, cricket, polo and other games, military marching fields, great government buildings, botanical gardens, small lake-sized reservoirs called “tanks,” temples and shrines, colleges and corporate campuses scatter the city and demand long connecting streets. Then, where they connect to one another and the zones of commercial buildings, where the streets converge there is another big void: the traffic circle so wide the buildings on the other side look small and distant. People give directions by traffic circles there! Garden City Shenzhen enthusiastically hosted Ecocity 5, organized by Rusong Wang, director of the Center for Environmental and Ecological Sciences at the Chinese Academy of Science. Since then, Rusong has become a member of the People’s Congress of China. Shenzhen had just won a national prize as a garden city for its natural restoration efforts: in strips and patches of natural and agricultural areas, in mangrove forests on the coast and agricultural allotments adjacent and inside its rapidly expanding boundaries. In Shenzhen, ecocity practitioners from around the world were a little worried to see that a “greenbelt” was a strip of green hedges and colorful flowers along a new freeway, rather than a large zone of land legally precluded from development surrounding the city. Cars were the passion of the prosperous — prosperity the goal of everyone. Enormous new buildings, rising everywhere almost from horizon to horizon under a forest of cranes, were separated by double-wide streets and separated further yet with golf courses dividing the city into distances well beyond the walkable or even bikable. This conference on the edge of hot desert and the thundering cold North Atlantic was an adventure deep into another culture and a rare perspective. Many considered it the most exciting conference they had ever attended, thanks in large measure to the generous hospitality of the village of Yoff, near Dakar, which provided foreign conferees with lodging and a fair portion of their fish catch, drumming and dance, and to the hospitality of the city of Dakar, which provided the National Conference Center. Ecocity 2 was characterized by the passionate desire of our hosts in Adelaide to build a real project — ASAP! Their chief effort was to use the conference to organize action for securing community support for a project for downtown Adelaide, Australia. Years after, they called the project an “urban fractal” – a fraction of the whole city made up of the crucial elements of housing, jobs, commerce, learning, food and public transport, all held together in a design so all parts best complement one another’s roles, just like the whole city is supposed to do — thus a potentially powerful example. The conference produced a declaration calling for cities for people instead of cars and laying out the basic parameters of such a place. The basic ideas of ecological city design and planning and the very particular means of building, living in and operating such cities were expressed in dozens of ways accessible at many levels. Having great local talent provided a solid foundation and leading speakers from the US and 12 foreign countries made the event representative of the some of the best of what has since become known as “green” and “sustainable” design, technology, lifestyle and even philosophy. One came from as far away as the moon: astronaut Edgar Mitchell relating the profound vulnerability of his home planet Earth, small enough to disappear behind his raised thumb while standing on the surface of the moon. Architect Paolo Soleri spoke about his ideas for three-dimensional cities as compared to sprawling two-dimensional, car dependent cities. Then there was Huey Johnson, State of California Secretary of Resources in Jerry Brown’s administration that was two decades ahead of its time in relation to “appropriate technology” as we called it in those days, Loni Hancock, Mayor of Berkeley, Sylvia McLaughlin who co-founded Save the San Francisco Bay Association — and proceeded to save the bay from filling, 1960 to today. Ecocity Builders invites expressions of interest from those wishing to bid for hosting the Ecocity World Summit. The bid manual for ECOCITY 2021 is now available for download!